If asked what the most typical Japanese food is, I would probably say miso soup. I already imagine some of you raising your eyebrows at this point, thinking to yourselves “what about sushi?” Contrary to popular belief in the West, sushi is not a part of daily meals in Japan. Sushi is more of a restaurant food, enjoyed on special occasions or on a fun night out with the family. 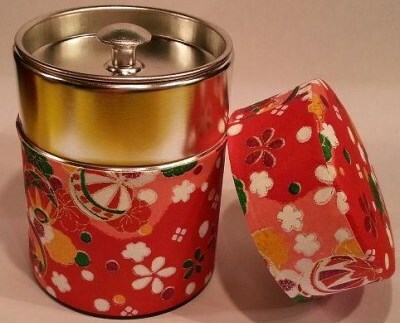 Miso soup, however, is very much part of Japanese home cooking. I think it is safe to say that most Japanese people still eat miso soup (almost) every day. Rice and miso soup make up the basics of most Japanese meals. When I found myself missing Japanese food after having moved back to Belgium, the taste of miso soup was what I missed most. It is just so typical of Japan. The recipe for miso soup is very simple. The first thing you need is of course miso paste. Miso is made by fermenting soy and/ or rice and barley. The result is a thick, salty paste. It comes in many varieties. 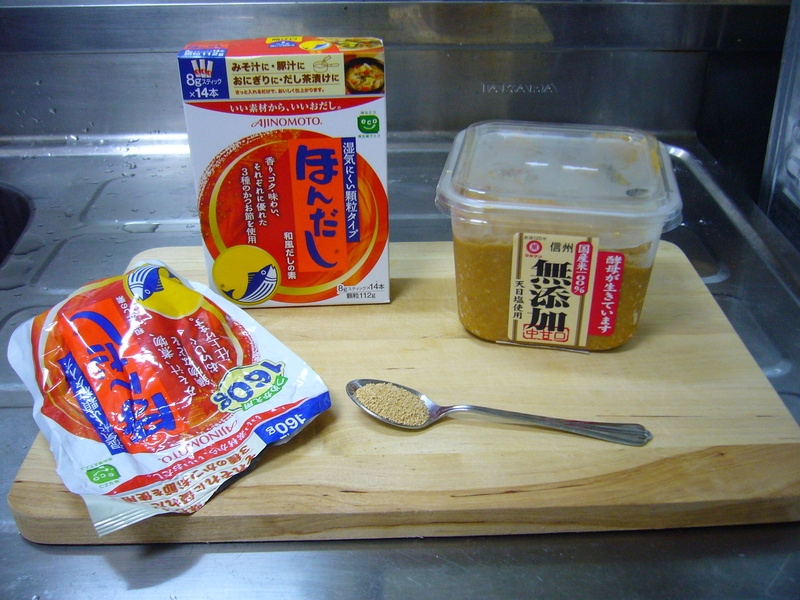 Most common are white miso (shiromiso 白味噌), which has a mild taste and the more spicy red miso (akamiso 赤味噌), which is typical of the Nagoya region. 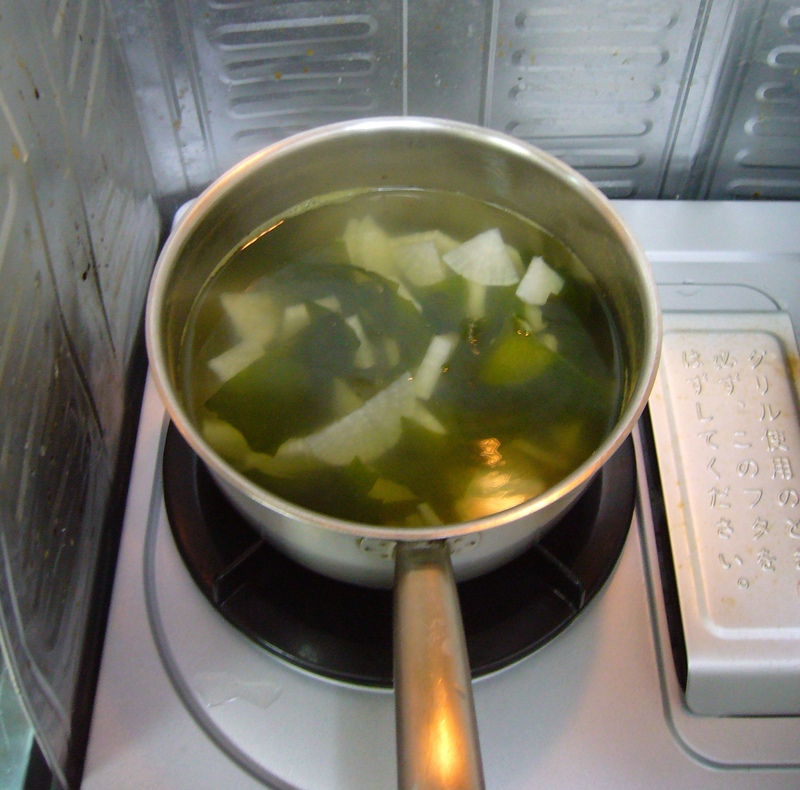 The other basic ingredient for miso soup is fish and seaweed stock (dashi, 出汁). 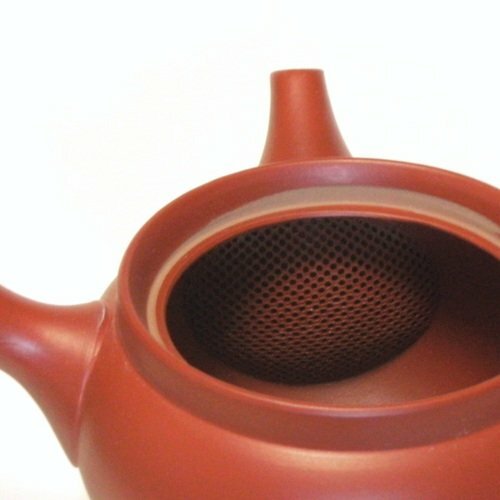 These days most people use dashi powder that can be added to water, rather than making their own stock from scratch. Other than miso and dashi, you can add anything you like to miso soup. 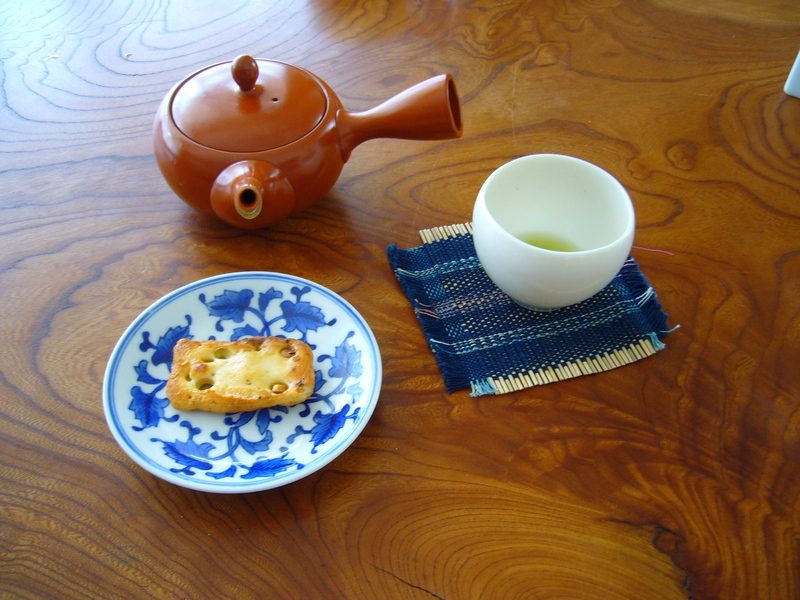 Typical things to add are wakame seaweed and tofu, or daikon and fried tofu. When I had just arrived in Japan, the task of making miso soup at home seemed daunting. There were so many overly complicated recipes on the internet, while in fact it is very simple to make miso soup. I will therefore describe my own, easy way of making miso soup. Of course you are more than welcome to leave suggestions or remarks in the comments section. I’m always open to learn more! 1. 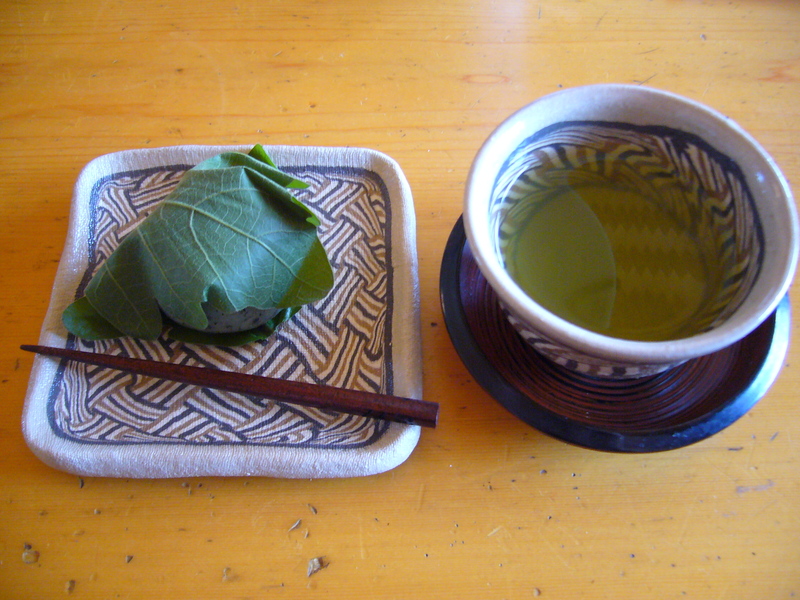 Soak the dried wakame in water for about five minutes or until it has stopped swelling. Drain the water and rinse the wakame. 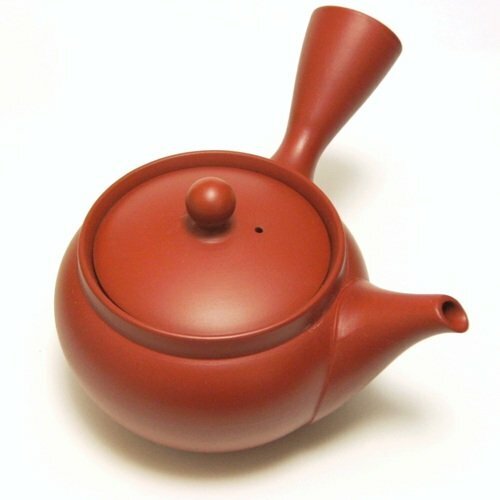 Don’t take too much; perhaps start with a teaspoon. The quantity of dried wakame can be deceiving since it swells so much in water. 2. 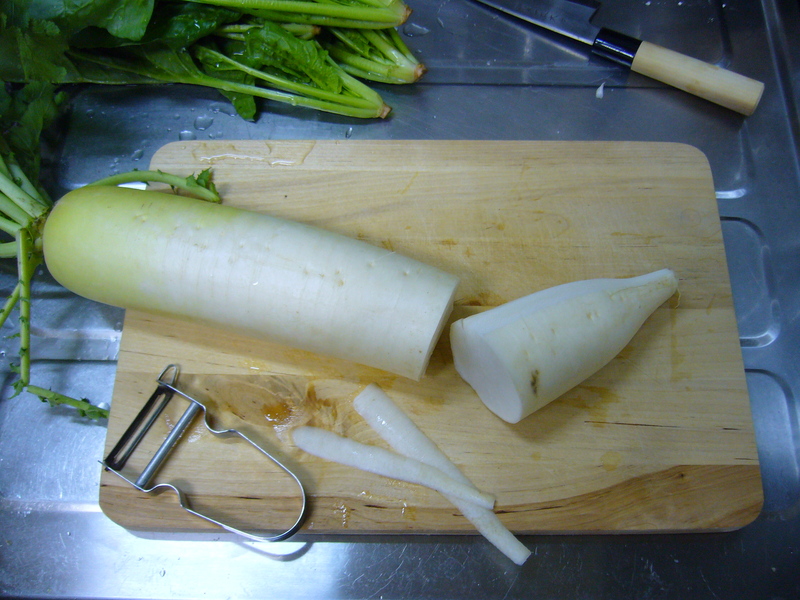 Cut off 1/3 of the daikon. 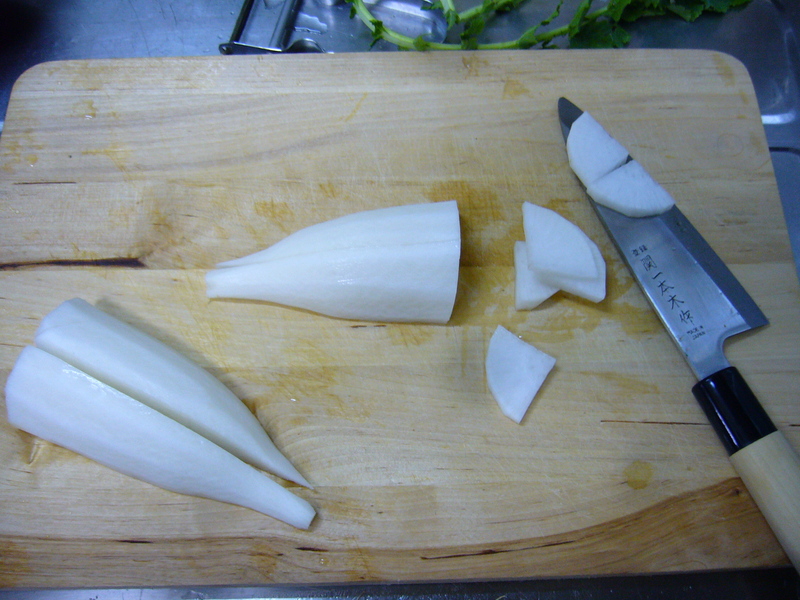 Peel it, cut in half lengthwise, cut in half again and then slice it. 2. 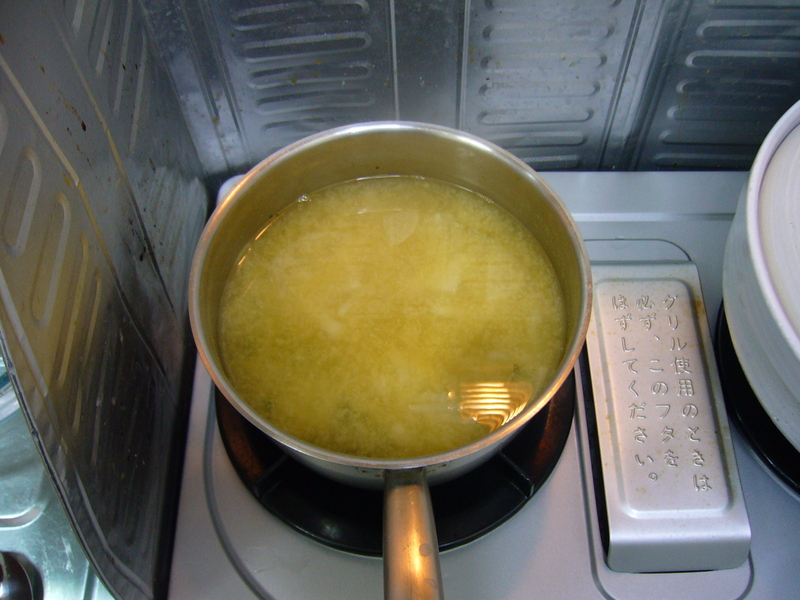 Heat water and add the instant dashi according to the instructions on the package. 3. Add the swelled wakame and the daikon to the dashi and boil for a few minutes. 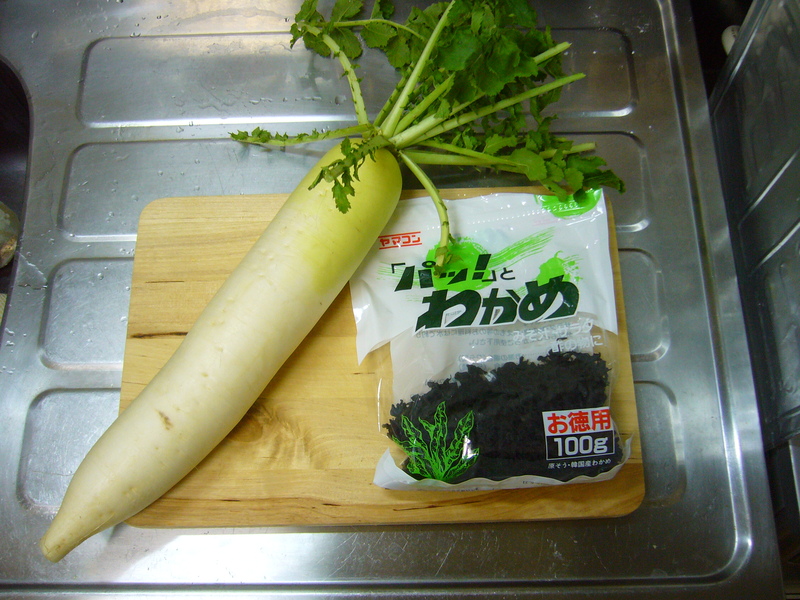 At this stage you can replace the wakame and daikon with other ingredients of your choosing. 4. Remove the soup from the fire. 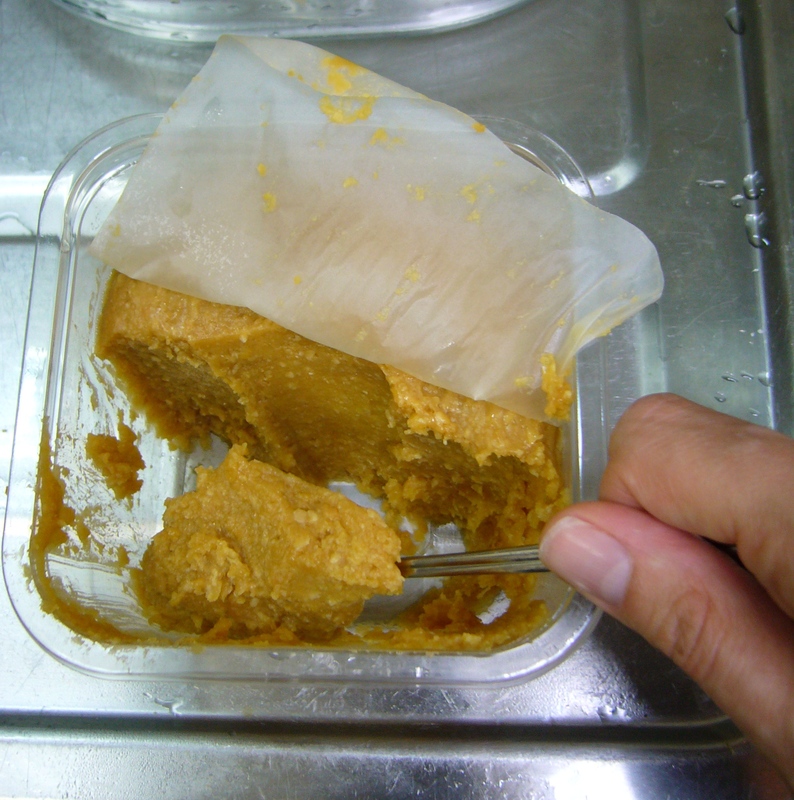 Take a spoonful of miso paste and dissolve it in the soup. You can add as much as you like. It depends on everyone’s individual taste. Start with a large teaspoon and add more if you like. Never bring the soup to the boil after having added the miso. 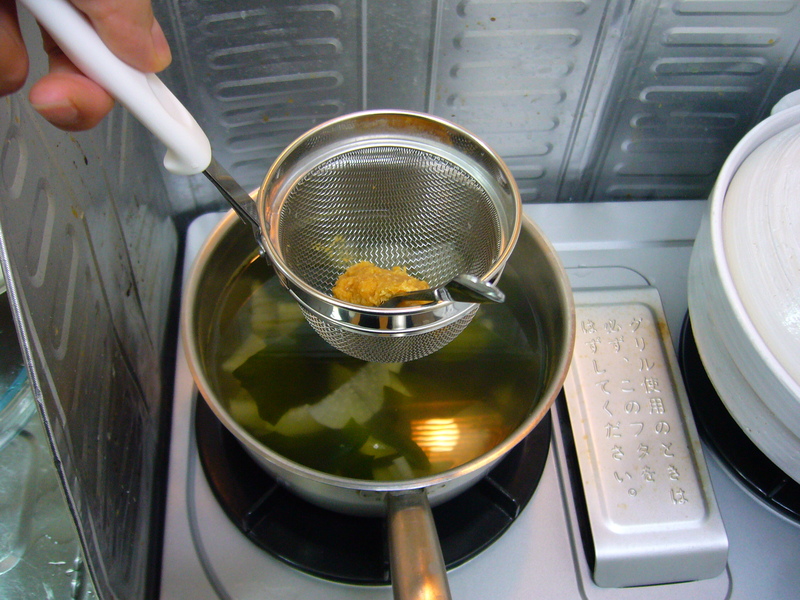 It is possible to dissolve the miso paste directly into the soup but I prefer to use a small strainer. 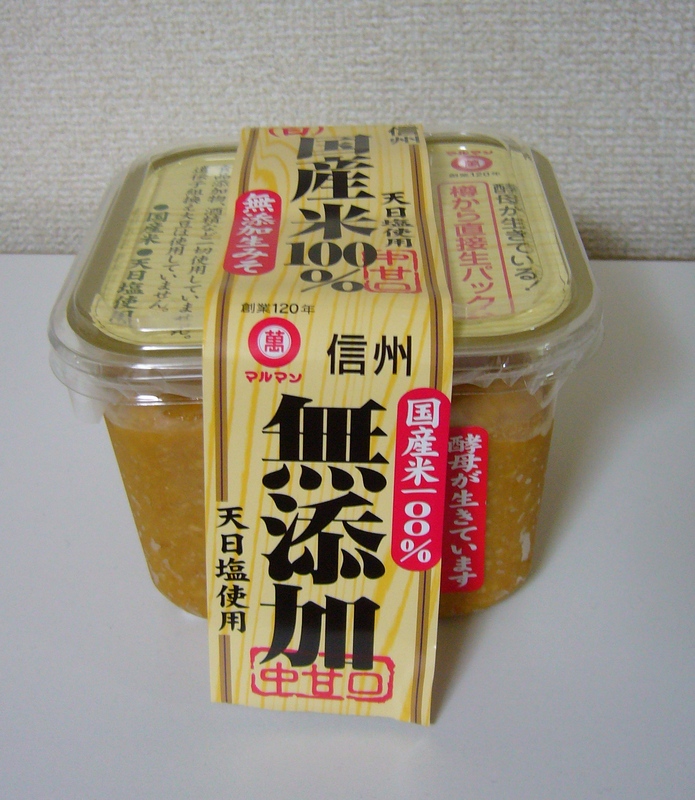 It makes dissolving the miso easier and you avoid finding chunks of undissolved miso in your soup afterwards. Miso soup finished. I used a lot of miso since I like the taste to be quite strong. If you use less miso, the soup will be a little less opaque. Et voila! You have the basis for a simple Japanese home cooked meal. Enjoy! 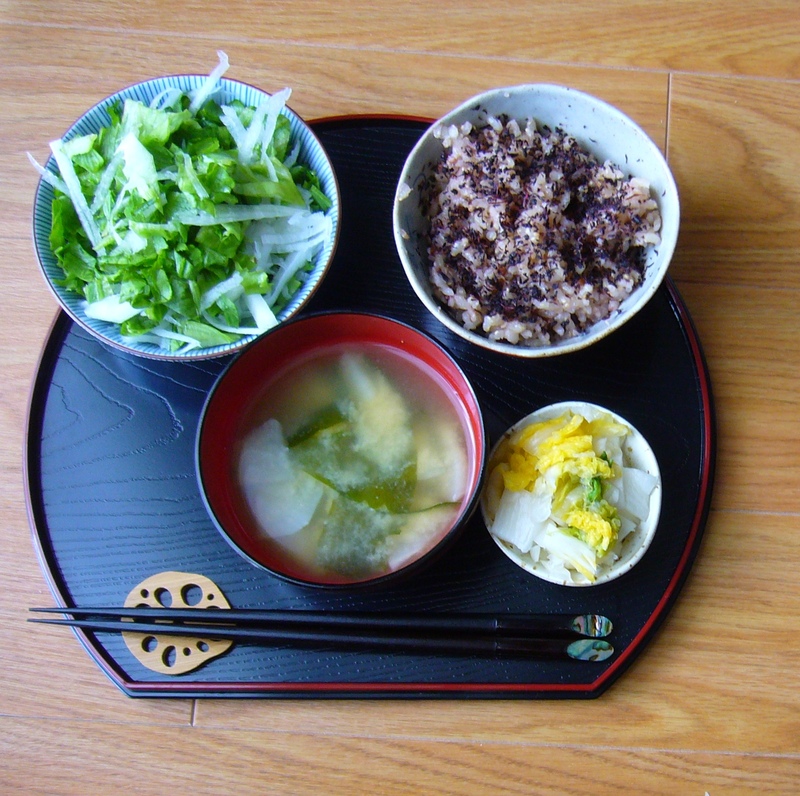 Simple Japanese meal with salad, brown rice (genmai), miso soup (miso shiru) and pickles (tsukemono). The solid ingredients in the miso soup are eaten with chopsticks. The liquid is drunk directly from the bowl. The miso drops to the bottom of the bowl after sitting for a while. This is normal. You can stir it with your chopsticks before drinking.